It seems as if Spring is well and truly ready to welcome the business end of the football season; with evenings getting longer and pitches staying drier, midweek football has finally returned. 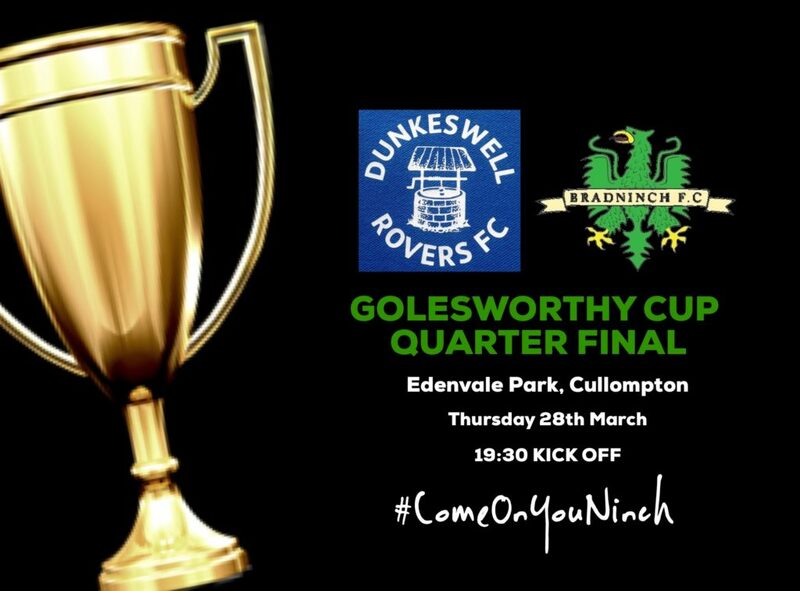 Often considered to be a critical point in any club’s campaign, the fixtures are coming thick and fast for Bradninch as they entertain Dunkeswell Rovers in the quarter final of the Golesworthy Cup. 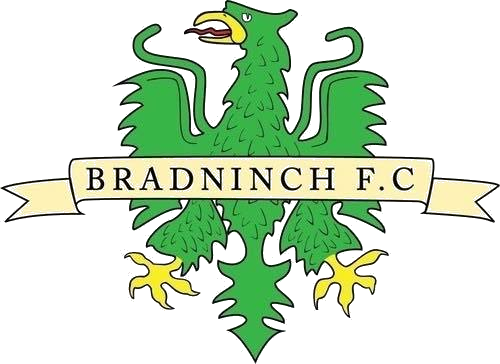 The game comes just 48 hours after Bradninch fell short at Sidmouth, having put in a passionate performance that left them dropping out of the Grandisson Cup following a 2-0 loss to the Division 1 outfit. Manager Stuart Murray was immensely proud of how his side played on Tuesday night and has urged each of his players to repeat the same level of work rate under the lights at Cullompton’s Edenvale Park. Bradninch are no strangers to the Golesworthy Cup, having narrowly lost in the final last season to Upottery II, they know what it takes to raise their game in midweek competitions. They’ll need that same level of intensity to overcome Dunkeswell Rovers, who enter Thursday’s game full of confidence after picking up four wins in their last six games. The Division 5 side are currently sitting in 8th position but have a huge schedule to get through having only played 12 league games this season; winning seven, drawing two and losing three. Once again, Bradninch will find themselves as underdogs come the first whistle, but that’s something Murray believes his side can thrive on as they look to cause an upset. It’s no secret that form goes out the window when it comes to big games like this, and Bradninch will be more than eager to showcase the progressive football that’s been on offer all season. With a staggering 36 Bradninch players making themselves available for this fixture, it comes as no surprise that everyone wants to feature under the lights on a Thursday night on Cullompton’s first-team pitch. Both Murray and Bradninch Villa manager Leigh Brooks have worked together to select a match-day squad capable of overcoming Dunkeswell’s confident, attacking setup. Bradninch will make a total of five changes from the squad that faced Sidmouth II in the Cup on Tuesday night, with the first of those being between the sticks. Goalkeeper Alan Rodgers comes in for Carl James, whilst Todd Scrace is now available for selection and will add another option to the heart of defence. Midfielders Harry Buxton and Harry Coombe return to the squad after missing Tuesday’s trip to Sidmouth, whilst experienced striker John King comes in to provide another option in attack. Bradninch Town squad: A. Rodgers, J. Vincent, T. Scrace, W. Birley, T. Brown, R. Shrewsberry, L. Scrace, H. Coombe, O. Buxton, H. Buxton, C. Goff, C. Wright, J. King, M. Rawlings, A. Cottrell. Please feel free to come down and support the boys as they look to book their spot in the Golesworthy Cup semi-final. Kick off is from 7.30pm at Edenvale Park, Cullompton.